Spacious and bright double room available in very central Baywaters, Zone 1 from May 15th. The location cannot be better: 5 mins walk to Bayswater station, 7 mins walk to Queensway station, 3 mins walk to Royal oak ( H&C line) and 12mins walk to Paddington. 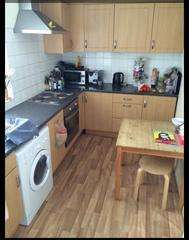 Room available from 15th of May but moving on earlier date is negotiable with current flatmate. Many buses run regularly and bus stops are less than a minute away. Hyde park and Notting hill are around the corner....and of course coffee shops , supermarkets (including a large waitrose), restaurants, pubs and everything you would need are at our door steps....and the best of all, gym and swimming pool only 20 seconds away. If you want to live and experience the real London, look no further. 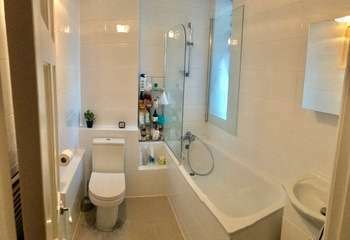 The area is very safe and the flat is located in a building with 24hrs concierge/security . We have 4 rooms (no living room), 2 toilets ( 1 with shower) a functional kitchen with washing machine and of course WIFI. The room available is a spacious double room with a large bay window. There is a big built in wardrobe so you won’t lack of space. The room has also just been repainted and come with a double bed and a desk. About us: We are currently 3 professional gay guys : ( 1 Japanese 2 Italians). We are very honest, quiet, respectful and friendly people who like to have a chat but also enjoy our privacy therefore we are looking for similar. We work very hard so we must stress that this is not a party house and respect for the others is a must. Although this is a flat-share we try our best to make it feel like home. This is a no-smoking flat and this is not negotiable. We are only looking for a professional with a stable job, who is looking for a quiet place to call home, someone who cares about our house as much as we do. If you are on your late 20’s, early 30’s it would be even better. We are ideally looking for a female but we might do an exception and consider a guy as well. PLEASE NOTE: We will not be taking students or freelancers under consideration and proof of a full time job is a must. PS. The furniture in the picture are from the previous flat mate , the current room comes with a double bed, a couple of side tables, a desk and a large sofa. Please email us telling us a bit about your-self and when you’d be available for a viewing.